Truth or False: 'Is Forex Trading Actually Profitable?' | Our article can tell you everything! Home - Is Forex Trading Profitable? The number one most searched question on the internet by newbie forex traders will always be something along the lines of “How much money can I make trading Forex?” “How much is a good return with Forex?” “How much do forex traders make?” These questions speak volumes about the one thing that not many Forex traders talk about, the lack of information. Ok, so by ‘lack of information’, we are not referring to the fundamental news like Fed rate news releases or even crude oil inventories. Instead we are talking about the one thing that we can never really get a straight answer on. Is Forex trading profitable? In fact, it depends on many things. If you go to the average Forex forum, you will see posts from a variety of traders all claiming what they believe is to be a reasonable expectation for forex profits and returns. If you go to a number of posts you will see answers ranging from 3% to even 40% a month. So, which one of them is right? The answer, is all of them. The range of return that a trader receives depends on a number of factors that have little to do with the markets themselves. This means that it is therefore impossible to determine a set figure or percentage of what a trader should receive in forex profit at the end of the period, whether it be the month or the year. For many traders, they return an average of near 1% monthly, for others, they shoot for high numbers like 40%. What we must do to compare these numbers properly is to analyse the type of traders that fall into which spectrum of forex profit return (whether high or low. 1% being low 40% being very high), the amount of risk that they take per trade, the number of trades that they make per month and whether or not they are consistent in their performance. For the many great brokers out there, there are equally as many if not more, of the shadier variety. These shady brokers love to lure in new customers by promising them guaranteed returns on their investments. They hook them with the enticement of high leverage trading where the possibilities of gaining a massive fortune with a comparably small investment deposit seem too amazing to pass. Traders who have little experience, then end up losing hundreds if not thousands of dollars chasing the pipe dream of becoming a forex millionaire in just a few months. We like to call these overblown expectations, fool’s gold. Essentially, what the brokers conveniently forget to emphasize is the dangerous amount of risk that customers are putting on themselves when they trade very high leverage with a very small amount of money. Doing this, sometimes a few pips against your position could wipe out your whole account. This has happened to numerous traders who did not understand leverage well. The most important thing to a trader is information. If he does not understand what is going on, then it is very unsafe for him to engage in trading and he will not learn how to profit from forex properly. Even though it is treated as such by many, Forex trading is not gambling. The Forex traders that know how to make profit in forex are the ones that take a very careful and meticulous approach to their risk:reward ratio, money management strategies and choosing the best trades. When you take all these into consideration then you quickly realize that these traders aren’t the ones boasting about making 40% a month. In fact, you will also realize that the very traders who do, sometimes collect a loss for the year. This is because they lack consistency. Their high returns in a month are usually followed by severe losses in another month. This is usually because of poor money management practices, and sometimes a combination of overtrading and overleveraging their account. In comparison to other investment instruments like stocks and bonds, yes. Forex, for the most part has the potential to provide more profit opportunities as the market is a much more liquid one. Also, the barriers to entry are much lower with retail Forex trading in comparison to stock trading. This means that it more available to the average man. People can open micro-accounts, with small deposits, and make larger sums of money that they would not have been able, to make otherwise, because of leverage. This means that making larger profits is easier with Forex. It also means that you can just as easily lose money. Forex profits offer a great enticement because of this. They also are open to a lot of inexperienced people who have the wrong impression of how to make profit in forex trading, because they do not know how Forex actually works. While some of them start out with profits, these are usually because of beginner’s luck, and the profits that they earned usually disappear as quickly as they are earned. When you engage with Forex traders who have been successfully trading over sometime, what you will notice is that they make an average of 1-10% month. Of course, there are exceptions to this, with individuals who make more, or less. It all depends on their specific trading styles and the amount of trades that they make in a month and the risk that they take etc. These numbers may seem low to some, especially after being enticed by larger numbers like 40%. But what you will notice with these smaller percentages is that they are usually not followed by large monthly drawdowns. 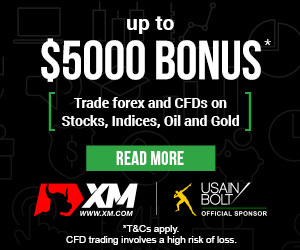 They are consistent, and this consistency allows these traders to have forex trading profits at the end of each year that rival the percentage returns of top hedge funds or banks. The average hedge fund promises returns of up to 20%, (with of course top performing Hedge funds like the Dreyfus Fund which sometimes provided high returns of 30% yearly for investors during its lifetime). The average savings account offered by banks, comes with yearly interest rate of on average 3% for the year. The table above shows the annual return of financial institutions, two popular banks and two hedge funds. The banks, as expected offer their customers lower interest rates on their savings accounts, while the hedge funds have higher returns. The catch with hedge funds is that it is much higher risk for customers and it also only accessible with those with large sums of money. In fact, for most hedge funds, the minimum investment amount is between $500,000 USD to $1 million USD. If we compare the percentage returns of the average successful forex traders to these annual returns, then in a year the trader just scraping 1% return on his money each month would just return 2% less than, the Owl Creek Overseas Fund, a top performing hedge fund. The trader would have 12% return on his money, while Owl Creek Overseas Fund would have 14.5%. Of course, we are not talking about the actual monetary amounts. The monetary return of a hedge fund investor would be much different from a retail trader. (14.5% of a 1 million hedge fund investment would be significantly more than 12% of a $10,000 retail forex trader account). Now that we know that profiting in Forex is not only possible, but that the percentage in return is comparable with successful hedge funds, the only thing left is examine how to profit in forex trading. The quality of forex strategy that a trader uses can make or break his trades. Luckily, the internet is filled with lots of information explaining how the market works, so that any trader can figure out if the forex strategy that he is using is working with the way the market moves, or not. A good forex strategy usually surrounds principles such as support and resistance, identifying trends and market patterns, and has ways to take advantage of them. Unfortunately, this is the area that separates the amateur traders from those who go on to find success. Discipline is the one area that most forex traders fall down in. A good Forex trader will know that sticking to his strategy is the only way to evaluate any mistakes that he makes so that he will improve. It is also the only way that he will gain consistency when he becomes profitable. Unfortunately, discipline is something that must be practiced in order to be learned, as you cannot learn it from reading a book. For many new traders they are not willing to be patient and this is therefore the one area that they are weak in. If you are serious about knowing how to profit in forex trading then you will make the effort to learn this trait that professional traders have as second nature. Forex profit can be just as easily lost as it is gained. (Sometimes it is easier to lose your profits than it is to gain them). A good money management strategy takes this into account. It also makes sure that each position that a trader takes has been carefully calculated to account for the amount of risk that he is willing to take on his account. It also means having a good risk:reward ratio for each trade, and only taking trades that have a high probability of success. We are all human, and therefore we are prone to human emotions. While these emotions help us in everyday situations, like identifying and avoiding danger, they are dangerous in trading. If a trader does not have control of his emotions, he will take his losses personally. When this happens, it can lead to destructive behaviours like revenge trading, and believing falsely that the market is against you. As every one knows, the market is not a living, breathing being, and it does not have a mind of its own. A person can learn how to trade Forex profitably if he has control over his emotions, as he will be better able to be disciplined with his strategy. Another essential thing that a trader needs is instinct. A trader needs to know the market patterns that the market will show when it is about to move in a certain way. The market has various ways of moving when it is about to trend, or about to retrace. It also shows signals that help a trader to know when a trend is exhausted and a trader who knows these signals will be better able to take advantage of them. If a Forex trader keeps these variables in mind, with proper practice, and patience, profiting with forex is more than possible.